No trip to the Greater Little Rock area would be complete without indulging in Southern favorites like sweet tea; fried food; dishes made with fresh, local ingredients; and some of the best barbecue you’ll find anywhere. 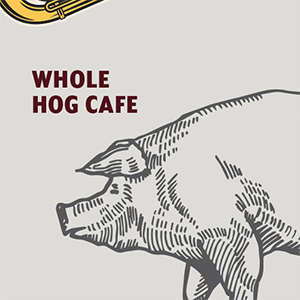 Whole Hog Café’s award-winning ribs, in particular, are wildly popular. Meanwhile, new kids on the block Cache, Buenos Aires Grill & Cafe and Petit & Keet are stirring up buzz for unique and delicious dishes. While the bad news is you’ll have a tough time deciding where to start your dining adventure, the good news is that Little Rock’s long list of options includes many interesting and award-winning menus spanning all kinds of cuisine. And no matter what you choose, you’ll find something Southern at every restaurant — the hospitality. * Kid friendly restaurants included in this list range in amenities offered, from kid’s menus and playgrounds/arcades to kids-eat-free dining specials. Call for info. &bigstar; Denotes Advertiser. Click on the star to see ad in the digital edition. 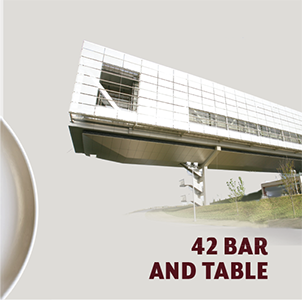 Our renowned on-site restaurant, 42 bar and table, offers a variety of dining selections for Clinton Center visitors and locals alike. Featuring unparalleled views of the lighted pedestrian bridge and a menu with a delicious blend of local favorites and internationally inspired cuisine, 42 bar and table ensures a presidential experience for every guest. Admission fees are not required to dine at 42 bar and table, and free valet parking is available during dinner hours. Lunch: 11 a.m.-2 p.m. M-Sa; Dinner: 4:30-10 p.m. Th-Sa; Bar: 4:30 p.m.-midnight Th-Sa. @ The Corner is a family-owned restaurant operated by three sisters and a mother who have taken the old-school diner feel and matched it with modern expectations of cuisine: fresh, local, farm-to-table ingredients with innovative menus for breakfast, lunch and weekend brunch. Weekday all-day breakfast and lunch: 7 a.m.-2 p.m. Tu-F. Weekend brunch: 8:30 a.m.-2 p.m. Sa and 10 a.m.-2 p.m. Su. Closed Mondays. Agasi 7 offers wood-fired pizzas, burgers, small plates and salads. Open 4-11 p.m.
Bark Bar is the happiest place on Earth with a full bar and dog park. Our off-leash doggie play area features fun indoor and outdoor. We serve hot dogs and other snacks and even have a doggie menu. Open 4 p.m.-10 p.m. Tu-F, 11 a.m.-10 p.m. Sa and noon-8 p.m. Su. Bold burgers, inspired salads and layered, old-fashioned shakes are the draw at this restaurant. Try a bucket of the hand-cut Kennebec potato chips or the truffle garlic herb fries with a juicy, delicious burger or a fresh, crisp salad, like the BLT wedge. And don’t forget dessert: the lemon icebox shake is sure to satisfy your sweet tooth. Full bar available. Hours vary by location. Big Whiskey’s is a game day destination with a full bar that is popular with the happy hour, business lunch and dinner crowds. Big Whiskey’s proudly serves spirits from the local Rock Town Distillery on tap. Patio seating is available. Open 11 a.m.-11 p.m. Su-Th and 11 a.m.-midnight F-Sa. This bakery/cafe specializes in European-style bread and pastries, hard-to-find artisan cheeses and house-made sauces and spreads. Everything is made fresh daily in-house using local produce. You can also stock your pantry with European and local specialty items. Italian-style coffee, wine and beer are available. Open 7 a.m.-5 p.m. M-F, 8 a.m.-3 p.m. Sa and Su, seasonal. This bakery/cafe specializes in European-style bread and pastries, hard-to-find artisan cheeses and house-made sauces and spreads. Everything is made fresh daily in-house using local produce and vendors when possible. You can also stock your pantry with hard-to-find pantry items. Italian-style coffee. Dinner service begins at 4:30. Full bar, craft beers on tap, late-night hours. Open 7 a.m.-7 p.m. M, 7 a.m.-9 p.m. Tu-W, 7 a.m.-10 p.m. Th-Sa and 8 a.m.-2 p.m. Su. 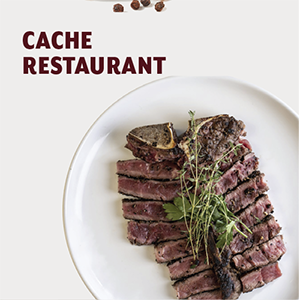 Upscale and modern, Cache Restaurant is in the heart of the downtown River Market with daily handcrafted lunch specials. Lunch offerings include delicious burgers, salads and sandwiches at an affordable price with daily specials from $10-$12. Dinner features inspired meat and seafood dishes. 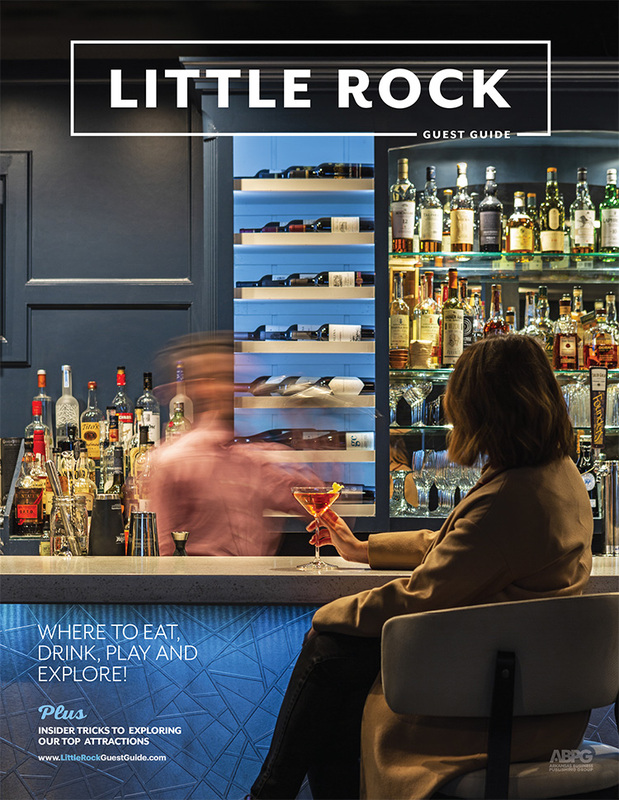 Little Rock Soirée calls the wine list “masterfully curated by the in-house sommelier — the best in town.” Complimentary shuttle to and from downtown locations. Open M-F lunch 11 a.m.-2 p.m. and dinner 4 p.m.-last seating at 9:45 p.m.; Sa dinner 5-9:45 p.m. last seating. Brunch 10 a.m.-2 p.m. Su only. Café@Heifer is the perfect spot for breakfast or lunch. Choose from an array of breakfast classics and savory lunches, including soups, salad, sandwiches and pizza, as well as daily chef specials. Local produce and meats are highlighted in many menu offerings. Open 11 a.m.-2 p.m. M-F. Noted among food and wine enthusiasts since opening in 1997, Capers’ accolades include “Best Outside Dining,” “Most Romantic” and “Best Wine List,” just to name a few. The diverse menu features a wide array of appetizers, soups, salads and creative entrees, including fresh fish and aged Angus beef. We serve a delicious brunch on Saturday. Full bar available. Open 11 a.m.-2 p.m. and 5-9:30 p.m. M-Th, and 11 a.m.-2 p.m. and 5-10:30 p.m. F-Sa. Little Rock’s legendary watering hole and most popular dining spot features regional comfort food, including the famous pimento cheese, spiced pecans and chicken fried steak complemented by superb service. Craft cocktails, a rotating wine-by-the-glass program and very select beers are the foundation of the award-winning beverage program. Open 11 a.m.-11 p.m. M-Th, 11 a.m.-1 a.m. F-Sa and 11 a.m.-10 p.m. Su. Barbecued ribs and pulled pork sandwiches are the main draw at this cozy restaurant, but the menu includes a variety of other delicious options as well. Try one of the daily Southern specials, like chicken and dressing, meatloaf, chicken and dumplings or fried chicken, paired with traditional sides like squash casserole, fried okra, baked beans, candied sweet potatoes and more. Open 11 a.m.-2 p.m. M-F. Located in The Heights, Cheers offers a menu of American cuisine with a hint of Cajun flair, complemented by a boutique wine list. Cheers is an intimate neighborhood restaurant offering hand-cut steaks, daily seafood specials, homemade soups, Kobe beef burgers and an array of original sandwiches and salads. Indoor or patio dining. Open 11 a.m-9 p.m. M-Th and 11 a.m.-9:30 p.m. F-Sa. Located in historic Hillcrest, Ciao Baci serves delicious tapas, entrees including fish flown in straight from Hawaii, locally grown produce and desserts. With a fantastic selection of specialty cocktails and martinis, and Arkansas’ largest selection of half-bottles of wine from around the world, it’s become known as one of Little Rock’s hot spots to see and be seen. Open 4 p.m.-2 a.m. M-F and 4 p.m.-1 a.m. Sa. Having served central Arkansas for more than 60 years, Community Bakery makes hundreds of items from scratch every night. As a full-line bakery, it offers tasty treats, from donuts, tiramisu and cakes to soups, salads and sandwiches on fresh-baked breads. The bakery was recently voted “Best Bakery” in central Arkansas by the readers of the Arkansas Times and “Best Bakery” by the Arkansas Democrat-Gazette. Open 6 a.m.-8 p.m. M-Th, 6 a.m.-9 p.m. F-Sa and 7 a.m-8 p.m. Su (Main Street). Open 7 a.m.-6 p.m. M-Sa, closed Su (Shackleford). Little Rock’s premier downtown restaurant and Wine Spectator award winner since 2007, Copper Grill offers a relaxing dining atmosphere, a beautiful street-side patio and a friendly bar. Whether you’re looking for a convenient business lunch, dinner and drinks before a local show, or a gourmet dining experience, you will love Copper Grill. Open 11 a.m.-10 p.m. M-Sa. The original Cotham’s Mercantile in Scott was built in 1917, earning a reputation for its Hubcap Hamburgers and onion rings, which have won many awards and were featured on the Travel Channel’s “Man v. Food.” Just blocks from the state capitol, government officials are among Cotham’s many loyal patrons. Open 11 a.m.-2 p.m. M-F. The foundation of David’s traditional hamburger is incredible 100-percent U.S. Choice Chuck steak with the highest standard of quality control. David’s fries are hand-cut potatoes made fresh throughout the day. Its staff wants every guest to feel welcome and to have an extraordinary experience with exceptional service. Hours vary by location, refer to website. 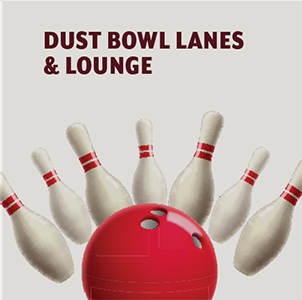 Dust Bowl Lanes & Lounge is an eight-lane bowling alley in booming downtown Little Rock. The 8,000-square-foot facility, which includes a lounge, full-service bar, karaoke room and private VIP room with two lanes, is a retro-inspired tribute to the classic bowling alleys of the 1970s. Open 4 p.m.-2 a.m. M-F and noon-2 a.m. Sa-Su. The Faded Rose offers a taste of New Orleans in the heart of Little Rock. Steaks and soaked salads are the mainstays at this comfortable restaurant long known for its menu and service. Grab a po’boy or a plate lunch at midday, and enjoy a selection from the generous wine list with dinner. Dishes include black & blue filet, rib-eye ala rosa, shrimp, catfish and crawfish étouffée. Open 11 a.m.-10 p.m. Su-Th and 11 a.m.-11 p.m. F-Sa. Flyw y Brewing is a microbrewery with tasting room and restaurant. Open 4-9 p.m. M-Th, 11 a.m.-10 p.m. F-Sa and 10 a.m.-9 p.m. Su. Celebrating 100 years, Franke’s is Arkansas’ oldest restaurant. Serving downhome favorites cafeteria-style, Franke’s specialties include banana pudding, peach cobbler, slow-cooked roast beef, mashed potatoes, eggplant casserole, slow-cooked ham, macaroni and cheese, karo nut pecan, fried okra, country fried steak and more. Try the Lite Plate or the Veggie Plate. Kids eat free on Wednesday. Also, come see our Conway location. Open 10:45 a.m.-2 p.m. M-F.
Mason, Tennessee’s now legendary Gus’s World Famous Fried Chicken is, well, world famous for their hand-battered, cooked-to-order chicken. The 50-year-old, closely-guarded recipe is a family secret Little Rock is proud to share. It is truly a one-of-a-kind meal. Open 11 a.m.-9 p.m. Su-Th and 11a.m.-10 p.m. F-Sa. Just across from War Memorial Stadium, Jimmy’s has been a Little Rock favorite for more than 33 years. With a choice-laden menu, no diner will leave unhappy. Meat-lovers will enjoy Jimmy’s Club-Mex stacked with turkey, hot pepper cheese and bacon. Locals rave about the national award-winning Garden Sandwich, a fresh and flavorful combination of cheese, sunflower seeds, mushrooms and Jimmy’s special spinach spread on pumpernickel. Open 11 a.m.-8 p.m. M-F and 11 a.m.-3 p.m. Sa. Closed Su. This local hot spot featured in Gourmet, Bon Apetit, Southern Living, The New York Times and on Food Network’s “Rachel Ray’s Tasty Travels” is a modern eclectic bistro serving international cuisine with a distinct Southern flair. Staples include grilled aged Angus beef, premium meats and poultry. Super-fresh seafood, plus brick-oven pizzas, eclectic appetizers and delicious wild stuff designed by Chef Mark Abernathy. Casual cool with moderate prices. Check out daily gourmet Southern-style plate lunches, a “bargain priced” wine list and the top award-winning Sunday brunch. Open for lunch 11 a.m.-2 p.m. M-F and for dinner 5:30-9:30 p.m. Su-Th, 5:30-10 p.m. F-Sa and Sa & Su brunch 10:30 a.m.-2:30 p.m. Specialty coffee, baked goods (made in-house) and ingredient-driven food options, including sandwiches, salads and soups. We also offer beers on tap and a curated selection of wine. Open 7 a.m.-8 p.m. M-Sa and 8 a.m.-8 p.m. Su (hours subject to seasonal changes). 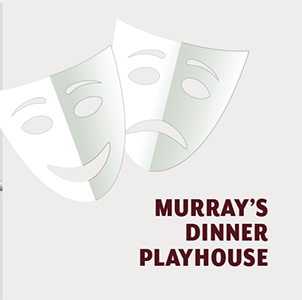 Murry’s Dinner Playhouse has offered an all-you-can-eat buffet and Broadway’s best comedies and musicals since 1967. Tickets range from $23-$37 and includes dinner, show, coffee, tea and tax. Full bar available. Open 6 p.m. Tu-Sa. Sunday and special Wednesday matinees open at 11 a.m., show starts at 12:45 p.m.
Nexus Coffee & Creative serves specialty coffee and tea along with local baked goods, craft beer and wine offerings, house-made paninis, shareables and desserts. We also offer live music every Satuday. Open 7 a.m.-7 p.m. M-Th, 7 a.m.-9 p.m. F-Sa and 8 a.m.-5 p.m. Su. First choice for power breakfast among the city’s business and political leaders. The 5-course Express lunch and 6-course degustation dinner menus showcase master touch of James Beard Award-winning Chef Joel Antunes. Exquisite ingredients sourced regionally and nationally from boutique vendors. Brunch features hand-crafted cuisine and personal service. Breakfast daily 6:30 a.m.-10 a.m.; brunch Su 10 a.m.-2 p.m.; lunch Tu-F 11:30 a.m.-2 p.m.; dinner Tu-Th 5:30-9 p.m. and F-Sa 5:30-9:30 p.m.
Voted “Best Juice Bar” in Arkansas! At Paninis & Company we offer a truly unique experience by only using premium ingredients with zero non-naturals or added sugars in our fresh juices and smoothies. Come try one of our nearly 20 handcrafted sandwiches, salads, soups and appetizers. Catering is available for groups of all sizes and is sure to be a hit. Open 7:30 a.m.-3:30 p.m. M-F and 10:30 a.m.-3:30 p.m. Sa. Closed Su. Petit & Keet is a popular new hot spot created by Little Rock’s award-winning restaurateurs, Jim Keet and Louis Petit featuring a wide variety of unique, elevated comfort classics such as Tempura Calamari and Panko Crusted Avocado with Crab Ceviche appetizers. The entrees include Charred Miso Salmon, delicious steaks and a Bison Burger. Innovative twists on classic cocktails, a superb wine list, large bar and the best patio in Arkansas. Reservations accepted. Open 4-10 p.m. M-Th and 4-11 p.m. F-Sa. Our plush seating will give you the perfect view of the game on one of our big screen TVs. Challenge your friends to a game of pool or beer pong or just sit back and chill. Try one of our many draft beers, including two local brews and enjoy a bite from our full-service kitchen. Private parties and catering available. Open 7 p.m.-2 a.m. Tu, Th-Sa. A small- and large-plate creative menu with a modern Southern twist is the idea behind nationally recognized Chef Mark Abernathy’s newest restaurant and hot spot. Menu items include premium grilled meats, dynamite ribs, super-fresh seafood, chicken-fried, hand-cut ribeyes, lamb chops, hearty soups, pizzas, pastas, burgers, salads and delicious appetizers and desserts. Four LCD TVs show sports events in the “happening” bar. The breakfasts and Saturday brunch are bustling and a must for visitors. Open for brunch 8 a.m.-2 p.m. Tu-F, 9 a.m.-2 p.m. Sa and Su 10 a.m.-2 p.m. Su. Open for dinner 5-9 p.m. M-Th and 5-10 p.m. F-Sa; happy hour 4-6:30 p.m. M-Th. Closed Su night. Samantha’s Tap Room & Wood Grill serves healthy food with great flavor cooked to order on a wood fired grill. Samantha’s is the first in Little Rock to have all wine and beer on tap — 32 beers and 20 wines tapped through its top-of-the-line system. The upstairs private mezzanine dining room is available for special events including rehearsal dinners, birthday and company parties. Main dining room reservations are booked on the hour reserving only one-third of the restaurant to leave room for walk in business. Dining room hours are 11 a.m.-10 p.m. M-Sa with the bar open till midnight on F and Sa. Happy hour from 4-6 p.m., $1 off all drafts with 1/2 priced apps. Complimentary valet offered Tu-Sa. Locally owned, Scallions serves homemade soups, salads, sandwiches and quiches from scratch. This local favorite has been serving The Heights for 30 years. Famous for the creamy cheese soup and chicken salad. Dine inside or enjoy the restaurant’s outdoor courtyard. Full service catering and venue rental available. Open 11 a.m-2 p.m. M-Sa. 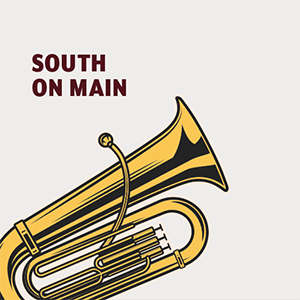 South on Main is a cultural experience that includes a restaurant and performance venue featuring the best of Southern cuisine and culture. With a kitchen helmed by Chef Matthew Bell, the restaurant offers a sophisticated but unpretentious atmosphere and a creative and accessible menu. Open 11 a.m.-2:30 p.m. M-F, 5-10 p.m. Tu-Sa and 10 a.m.-2 p.m. Su for brunch. Experience the innovative creations of Executive Chef Scott Rains at Table 28, featuring modern American cuisine with a twist. Open 4-9 p.m. M-Th, 4-10 p.m. F-Sa. Closed Su. Proudly serving Arkansas for 32 years. Lunch menu features fresh soups, entree salads, daily specials, unique sandwiches. Eclectic dinner menu offers specials with fresh fish, steaks, pastas, enchiladas, seafood, vegetarian- and vegan-friendly. Full bar with extensive craft cocktail, wine and beer menus. Dinner reservations any size, any time; lunch reservations accepted for parties of five or more. The Pavilion Room is available for private events. Open 11 a.m.-2:30 p.m. and 5:30 p.m.-close M-Sa, and 11 a.m.-2 p.m. Su. Located in the breathtaking Arkansas Arts Center, Watercolor in the Park is a restaurant that offers an opportunity to enjoy delicious culinary works while taking in great works of art. Favorites include the Prosciutto Deviled Eggs appetizer and Wagyu Corned Beef on Pumpernickel or Charred Salmon. For more information, go to WatercolorLR.com or follow them online @watercolorlr. Open 11 a.m.-2 p.m. Tu-Su. 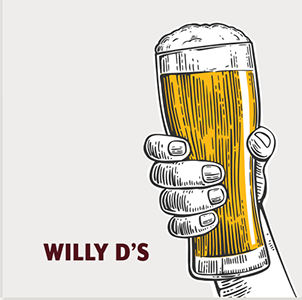 Little Rock’s premier hot spot, Willy D’s features three environments under one roof! Sing along in the greatest piano show in Arkansas, play pool and lounge in Prost, or dance all night in DEEP. With four full bars and a full kitchen, there is no need to go anywhere else. Open 7 p.m.-2 a.m. Tu-Sa. Kitchen stays open until 1 a.m.
Benihana is world-famous for making the dining experience complete. Delicious meals are prepared at the table, and guests can enjoy the finest hibachi-style steak, chicken or seafood. Call for reservations; groups are welcome. Full bar available. Open 11 a.m.-2 p.m. and 5-9:30 p.m. M-Th, 11 a.m.-2 p.m. and 5-10 p.m. F, 5-10 p.m. Sa, and 11:30 a.m.-2:30 p.m. and 5-9 p.m. Su. Kemuri is not just a sushi lover’s paradise, but a full-scale restaurant serving exciting and delicious dishes that you would expect to find in New York, Tokyo and Los Angeles. It has some of the freshest seafood and smoked meats you will find anywhere. Located at the top of Hillcrest, Kemuri specializes in providing guests the ultimate dining experience. From tantalizing ingredients, to unique grilling methods and sauces, Kemuri gives guests a full spectrum of flavors that allows them to have a selection of unconventional recipes. Open 11 a.m.-2 p.m. and 4:30-9:30 p.m. M-Th, 11 a.m.-4:30 p.m. F, 11 a.m.-11 p.m. Sa and 4:30-9:30 p.m. Su. In business for 26 years, Mt. Fuji offers a variety of authentic Japanese cuisine. Highly recommended by Little Rock’s Japanese community, the restaurant serves sushi, tempura, teriyaki dishes and noodles (udon). Enjoy $1.50 sushi from 5-10 p.m. Monday, or come for happy hour sushi from 5-7 p.m. Tu-Su. After dining, visit the Japanese Food & Gift Shop. Open 11 a.m.-2 p.m. and 5-10 p.m. M-Th; 11 a.m.-2 p.m. and 5-10:30 p.m. F; 11 a.m.-3 p.m. and 5-10:30 p.m. Sa; 5-9:30 p.m. Su. Poke Hula offers fresh sushi bowls known as Poke (po-kay) bowls. A fusion of Hawaiian and Asian influences. Choose from one of our signature bowls which offer predetermined ingredients for maximum flavor or build your own. The possibilities are endless when you build your own unique bowl. Facebook: Poke Hula / Instagram: Poke Hula Inc. Open 10 a.m.-9 p.m. M-F and 11 a.m.-9 p.m. Sa-Su. This modern eatery serves new-world interpretations of market-fresh fish, grilled steaks and great cocktails in a small and lively setting, with a rich and sophisticated ambiance. The modern fusion, full-flavored dishes reflect Sushi Cafe’s “East Meets West” style. More than 180 cafe creations and full bar are available. Open 11 a.m.-2 p.m. M-F and 5 p.m.-close M-Su. Three Fold is a noodles, dumpling and buns eatery that utilizes Chinese culinary traditions with Western innovations in sustainability. 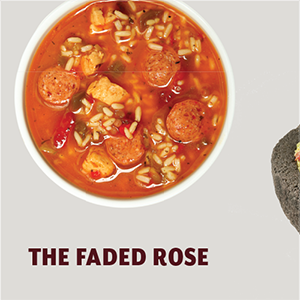 We are committed to making food that tantalizes your taste buds and fuels your body. Open 11 a.m.-8 p.m. M-Sa. Located in downtown Little Rock, Wasabi offers a variety of specialty sushi options. Try the Wasabi roll, which consists of tuna, salmon, yellowtail and red snapper with spicy crab on top, sriracha, spicy mayo and eel sauce. Full bar available. Open 11 a.m.-2 p.m. and 4:30-9:30 p.m. M-Th; 11 a.m.-2 p.m. and 4:30 p.m.-9:30 p.m. F-Sa. Great Count Porkula BBQ plus food trucks. Big outdoor space that is pet friendly. Open 11 a.m.-9 p.m. Tu-Th, 11 a.m.-10 p.m. F-Sa and 11 a.m.-9 p.m. Su. Closed M.
Founded in 1937, Sim’s is famous for its smoked meats and barbecue sauce. The meat is slow-cooked to maximize its Southern flavor. The sauce, seasoning and cooking techniques are unique ingredients that make Sim’s Bar-B-Que a unique eating experience, and great food and unmatched service keeps locals and visitors coming back. Open 11 a.m.-10 p.m. M-Th and 11 a.m.-midnight F-Sa. An Arkansas favorite since 2000, Whole Hog Cafe prepares the same award-winning recipes that won top honors in the 2000, 2002 and 2008 Memphis in May World BBQ Championships. A selection of six regional sauces complement Whole Hog’s pecan-smoked ribs, pulled pork, beef brisket and chicken. Beer and wine are available. A cozy tea house in the heart of Hillcrest Historic District. Offering a large selection of custom loose-leaf tea blends, local baked goods, sandwiches and Wi-Fi. Indoor seating year-round, outdoor patio open spring through fall. Private tea party room available with prior reservations. Open 8 a.m.-7 p.m. M-Sa and 1-7 p.m. Su. 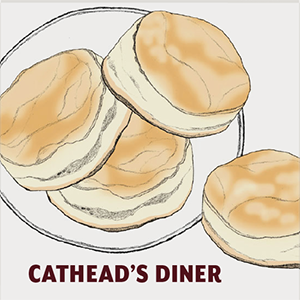 Cathead’s Diner serves Southern-style comfort food featuring our namesake big biscuits alongside fried chicken, smoked barbecue and gourmet donuts in Little Rock’s East Village. Our lunch is served cafeteria-style, made from scratch in our chef-driven kitchen, and brunch is always something new and fun with a side of booze. Open 7 a.m.-7 p.m. Tu-F and 10 a.m.-2 p.m. Sa-Su. Closed M.
Delicious Temptations is West Little Rock’s premier destination for breakfast and lunch! Serving the area for more than 38 years, owner Tony Niel offers a wide variety of delectable dishes for breakfast, lunch and dessert. Open 8 a.m.-2:30 p.m. daily. First choice for power breakfast among city’s business and political leaders. The 5-course Express lunch and 6-course degustation dinner menus showcase master touch of James Beard Award-winning Chef Joel Antunes. Exquisite ingredients sourced regionally and nationally from boutique vendors. Brunch features hand-crafted cuisine and personal service. Breakfast daily 6:30 a.m.-10 a.m.; brunch Su 10 a.m.-2 p.m.; lunch Tu-F 11:30 a.m.-2 p.m.; dinner Tu-Th 5:30-9 p.m. and F-Sa 5:30-9:30 p.m. Award-winning breakfast, lunch, dinner and Sunday brunch made with farm fresh, Arkansas ingredients and served in a casual, family-friendly setting! Open 7 a.m.-2:30 p.m. Tu-F, 8 a.m.-3:30 p.m. Sa. Breakfast served till 11 a.m. Lunch starts when breakfast is done. 9 a.m.-2 p.m. Su (brunch only). Dinner: 5-9 p.m. W-Sa. The taste of The Mediterranean is just part of the unique flavor of YaYa’s. It’s also in the sounds of live music on the patio Thursday through Sunday and in the attentive service, creative cocktails, award-winning wine list and weekend brunch. Host a party in one of our two banquet spaces or call us for catering! Open 11 a.m.-10 p.m. M-Th, 11 a.m.-11 p.m. F-Sa and 10 a.m.-9 p.m. Su. Extremely vegan-friendly, fast casual dining experience in a fantastic brewpub. Open 3-11 p.m. 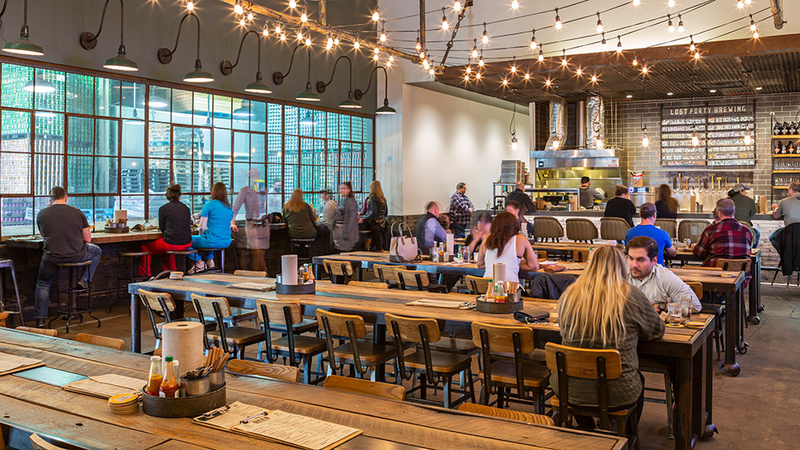 Inside the brewery, Arkansas Ale House offers Southern Americana inspired fare, a gift shop and expanded taproom. A barrel-aging room for special events allows diners a look behind the scenes of their Gold Medal award-winning brews and a beer-centric menu. Diamond Bear offers a bar full of craft beers, small variety of wines and Big Rock Root Beer. The outdoor patio and North Lawn offers lawn games and inside darts and board games, or you can watch the big game on big screen TVs. Private taprooms accommodate groups 25-125. Open 11 a.m.-9 p.m. Tu-Su. Bar open until 10 p.m. on weekends. Fassler Hall is a German-inspired beer hall located in downtown Little Rock. Enjoy homemade sausage, German beer and our expansive beer garden. Open 11 a.m.-midnight Su-Th and 11 a.m.-2 a.m. F-Sa. 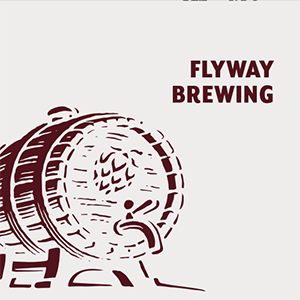 Flyway Brewing is a microbrewery with tasting room and restaurant. Open 4-9 p.m. M-Th, 11 a.m.-10 p.m. F-Sa and 10 a.m.-9 p.m. Su. Lost Forty Brewing is a craft microbrewery rooted in Arkansas. Lost Forty Brewing takes its name from the historic, storied forest that stands on 40 acres of Arkansas’s last truly virgin soil in Calhoun County. We aim to craft beers as unwavering, wild and uniquely Arkansas as the land itself. Lost Forty, both the forest and the brewery, is part tall tale, a little bit of hearsay, a lot of history, a few facts, a big cast of characters and completely Arkansas. We offer an in-house restaurant with a view of the brewhouse and canning line. Our Southern American meets German Beer Hall menu is offered seven days a week for lunch and dinner, as well a full brunch menu on Sundays. Join us for one of our 12 beers on tap, delicious food and a completely unique experience. Cheers! Open 11 a.m.-9 p.m. M-Th, 11 a.m.-10 p.m. F-Sa and 9 a.m.-9 p.m. Su. Open seven days a week and features four year-round beers and 12 rotating beers, all brewed on site. Enjoy some of our Cajun-inspired sharables with a friend, or mix it up and try one of our unique burgers or signature sandwiches while dining on the best covered patio in Little Rock. After dinner, hop on down to our beautiful, spacious beer garden. Soak in the sun while listening to some live entertainment and playing a game of Baggo. “Rebel at Heart, Rebel in Hand.” Open 11 a.m.-10 p.m. M-Th, 11 a.m.-11 p.m. F-Sa and 11 a.m.-8 p.m. Su. Vino’s Pizza Pub Brewery serves award-winning, hand-tossed, stone-baked, New York-style pizzas, calzones, sandwiches and salads that are consistently voted local favorites. Vino’s is also Little Rock’s original brewpub, serving a wide range of handcrafted ales and lagers, as well as a variety of wines and homemade root beer. Open seven days a week for lunch and dinner. Live entertainment on weekends. Family-friendly with outdoor seating available. 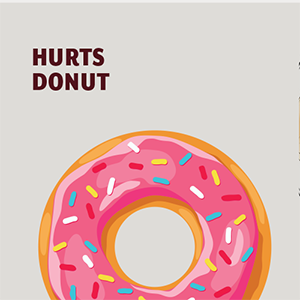 Open 11 a.m.-10 p.m. M-Th and Su, and 11 a.m.-midnight F-Sa. We sell beer! We also sell beer and winemaking ingredients. Call for hours. Made famous in Memphis, Corky’s opened in Little Rock in 1996 and has been serving award-winning ribs and barbecue, as well as famous catfish, burgers, salads, tamales, wraps, grilled chicken, tilapia and more. A convenient drive-thru, two meeting rooms, a full bar and great bulk and catering prices make Corky’s the perfect choice for your group! Open 11 a.m.-8:30 p.m. Su-Th and 11 a.m.-9:30 p.m. F-Sa. Check for winter hours. Modeled after a no-frills diner deep in the Delta, this steakhouse became a local landmark of national renown after it became a popular hangout among staffers working on President Bill Clinton’s 1992 presidential election campaign. Steaks served family-style headline the menu, complemented by seafood, sandwiches, sides, Doe’s famous tamales and more. Open 11 a.m.-2 p.m. and 5:30-9:30 p.m. M-Th, 11 a.m.-2 p.m. and 5:30-10 p.m. F, and 5:30-10 p.m. Sa. Your friendly neighborhood seafood joint since 1975, with a menu that features legendary gumbo, fresh Gulf oysters, catfish, shrimp, po’boys, grilled fish options and a nice selection of salads. Daily specials are offered, and a private party room is available — call for details. Come enjoy a glass of wine, the coldest beer in town and our digital jukebox. Open 11 a.m.-9:30 p.m. M-Th, 11 a.m.-10:30 p.m. F and 11 a.m.-10 p.m. Sa. Southern bona fide goodness that prides ourselves on serving up the best catfish in town with a large menu with something for everyone. Open 11 a.m.-9 p.m. Su, W and Th, 11 a.m.-8 p.m. M and Tu, 11 a.m.-10 p.m. F-Sa. Free valet Tu-Sa after 5 p.m. This bakery/cafe specializes in European-style bread and pastries, hard-to-find artisan cheeses and house-made sauces and spreads. Everything is made fresh daily in house using local produce. You can also stock your pantry with European and local specialty items. Italian-style coffee, wine and beer are available. Open 7 a.m.-5 p.m. M-F, 8 a.m.-3 p.m. Sa and Su, seasonal. Dempsey is a gluten-free, wheat-free, soy-free and nut-free bakery. Breads, desserts, cakes, pies, sandwiches and soups are made daily. Open 10 a.m.-6 p.m. Tu-F and 9 a.m.-3 p.m. Sa. Serving over 30 types of quality, loose-leaf teas that have been sourced worldwide then formulated and blended in the Savoy Tea Lab in Fayetteville. Selection includes black, green and white teas plus caffeine-free rooibos and herbal teas. Sweet iced tea drinks and tea latte specialty drinks, pourover coffee, rotating flavors of kombucha on tap and a variety of gluten-free, local pastries, light lunch and snack options are available. Open 10 a.m.-6 p.m. Tu-F and 10 a.m.-5 p.m. Sa-Su. The Joint is a unique theater and coffee shop that offers custom coffees and blended drinks as well as pastries and snacks. Use our free Wi-Fi and relax in the cafe or out in the courtyard. Then return for cocktails in the evening while you enjoy a variety of entertainment Tuesdays through Saturdays. Open 7:30 a.m. until late Tu-F and 8:30 a.m. until late Sa. Loblolly gets a kick out of making small-batch ice cream, fizzy sodas and other fine lollies. Inspirations are the gardens, farms and markets of Arkansas. Every recipe is built from the ground up, using quality, seasonal ingredients. Loblolly wants to share it all — bites, sips and mountainous scoops. Open 11 a.m.-9 p.m. Tu-Sa and 11 a.m.-6 p.m. Su-M. Check Facebook page for accurate hours. Maggie Moo’s, located at The Promenade at Chenal, hand-folds nuts, candy or fruit into specialty ice cream flavors, right in front of you. Try a famous ice cream cupcake or ice cream pizza. Smoothies, milkshakes, cakes and other treats are also available. Open 11 a.m.-10 p.m. M-Th, 11 a.m.-11 p.m. F-Sa and noon-9 p.m. Su. Specialty coffee, baked goods (made in-house), and ingredient-driven food options, including sandwiches, salads and soups. We also offer beers on tap and a curated selection of wine. Open 7 a.m.-8 p.m. M-Sa and 8 a.m.-8 p.m. Su (hours subject to seasonal changes). Mugs Cafe is a place to eat and drink without the pressure to consume and move on. Open 7 a.m.-6 p.m. M-Sa. Mylo Coffee Company is a family of hardworking people who are passionate about coffee and handcrafted pastries. Open 7 a.m.-9 p.m. M-Sa and 7 a.m.-7 p.m. Su. Catering to the kid in everyone, this full-service restaurant is known for its soda fountain and all the specialties that come with it: malts, shakes and sundaes. The Purple Cow serves a wide spectrum of meals, but the emphasis is on burgers, sandwiches and entree salads. Open 11 a.m.-9 p.m. Su-Th, 11 a.m.-10 p.m. F-Sa. 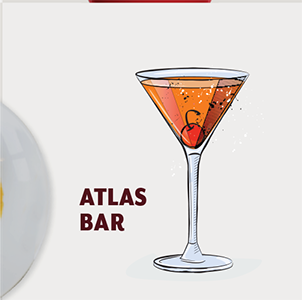 Weekend brunch served 9 a.m.-2 p.m.
Atlas Bar is set to be the best new old bar in Little Rock. Inspired by traditional American watering holes of the 20th century and influenced by the golden age of travel. Come by for creative international libations and delicious street foods from around the world. Maybe a game or two of pool. Great conversation is sure to follow. Open 3 p.m.-midnight daily. Family-owned full service restaurant offering authentic Argentinian food to the central Arkansas area. Unique cuisine, crafted with passion. Open 11 a.m.-9 p.m. Tu-Sa. Since 2002, chef and owner Rosalia Monroe carefully prepares her specialties using only the freshest ingredients, many of which are imported directly from Brazil. Visit Cafe Bossa Nova today and see for yourself what authentic Brazilian cuisine is all about! Open 11 a.m.-9 p.m. Tu-F, 10:30 a.m.-9 p.m. Sa and 10:30 a.m.-2 p.m. for Su brunch. As seen on “Diners, Drive-Ins, and Dives,” La Terraza proudly serves Latin American and Spanish cuisine, specializing in Venezuelan fare. Beautiful three-tiered patio, party room, groups welcome, kids area. Hours are subject to change based on demand. Open 11 a.m.-10 p.m. Tu-Th and 11 a.m.-11 p.m. F-Sa. Su brunch 11 a.m.-3 p.m. Late-night hours subject to demand. The No. 1 restaurant in Little Rock on TripAdvisor.com. A perfect spot to meet, enjoy delicious rustic central European cuisine and linger over that second bottle of wine. Open 11 a.m.-4 p.m. M-F and 4 p.m.-midnight M-Sa. Mexican food with south-of-the-border flare, Santo Coyote specializes in home-cooked Mexican food from the state of Jalisco. From fresh tableside guacamole, homemade flour tortillas to fajitas, enchiladas, steaks and fresh ceviche, and can’t forget Blue Coyote Margarita! 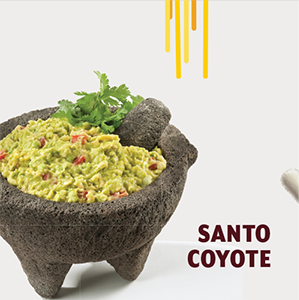 Grab your amigo and head to Santo Coyote. The Pantry Crest offers Czech and German classics as well as delightful appetizers, burgers, salads and flatbreads. Award-winning desserts are worth saving room for or taking home. The full bar serves signature cocktails, imported beers, microbrews and wine. The Pantry evokes warm European charm that makes it a favorite spot to Eat. Meat. Drink. Open 4 p.m.-midnight M-Sa. This award-winning bistro led by Chef Peter Brave continues to receive accolades, offering casual dining in a comfortable, art-filled atmosphere with a scenic view of the Arkansas River. The creative menu draws on a mix of herbs and sauces. Patio and private dining and full bar available. Reservations accepted. Open 11 a.m.-2 p.m. M-F, 5-9 p.m. M-Th and 5-10 p.m. F-Sa. One-hundred percent locally sourced meats and seasonal local vegetables fill our tacos, empanadas, pupusas and specialty items such as pastel de mandioca. Our margaritas and cocktails are made with freshly squeezed lime juice, and there are 16 local Arkansas beers on tap. Open 11 a.m.-9 p.m. Tu-Th and 11 a.m.-10 p.m. F-Sa. Located in Pleasant Ridge Town Center, Istanbul’s menu boasts fresh, traditional Turkish ingredients with a special blend of flavors for a tantalizing meal. Doner (a blend of ground lamb and beef) platters, kebabs, soups, salads and wraps are available all day, with discounted lunch specials offered from 11 a.m.-4 p.m. Open 11 a.m.-9 p.m. M-Th, 11 a.m.-10 p.m. F-Sa and 11 a.m.-7 p.m. Su. Fresh, casual and delicious. Taziki’s Mediterranean-inspired menu includes a full variety of meat and seafood grilled to juicy perfection, crisp salads, tasty gyros and unique sandwiches — all made from scratch including our original marinades and sauces. Nice selection of wines and beer, too. Catering available for 10-1,000 people. There are also two locations in Northwest Arkansas. Instagram: @TazikisArkansas. Open 11 a.m.-9 p.m. M-Sa and 11 a.m.-8 p.m. Su. Arkansas’ first authentic Irish pub, Cregeen’s was named to a list of the Top Ten Irish Pubs in the United States and offers a family-friendly, smoke-free atmosphere with a large selection of food, beer, wine and whiskey. Live music is featured on most weekends. Open 11 a.m.-2 a.m. M-F, 11 a.m.-1 a.m. Sa and 11 a.m.-midnight Su. Little Rock’s best Irish pub, located at the corner of Third and Rock streets in the River Market Tower. It opens to a tremendous lunch crowd and keeps going till 1 a.m. most days. The kitchen is open late, serving up authentic Irish and American favorites. There’s live music on Friday and Saturday nights with no cover charge. There are also several flat-screen TVs and free Wi-Fi. Open 11 a.m.-1 a.m. M-F, 11 a.m.-1 a.m. Sa and 11 a.m.-10 p.m. Su. Bravo! is proud to serve Italian classics with a twist made with authentic old-world cooking techniques and high-quality ingredients — house-made pasta specialties, pizzas and flatbreads, steaks, chops and seafood. Bravo! invites you to come join their atmosphere under a fun, family-friendly Roman ruin decor. Open 11 a.m.-10 p.m. M-Th, 11 a.m.-11 p.m. F and Sa and 11 a.m.-9 p.m. Su. Since 1949, Bruno’s Little Italy has been Arkansas’ premier destination for authentic Italian cuisine — offering you generations of delicious family recipes, great service and a beautiful atmosphere. 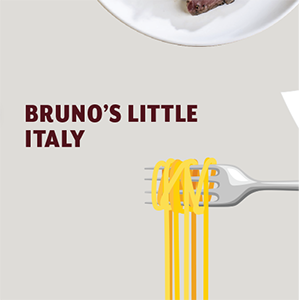 Come participate in the Bruno’s experience. Featured on Food Network’s “Diners, Drive-Ins and Dives.” Open 5-9:30 p.m. Tu-Th and 5-10 p.m. F-Sa. Closed Su and M.
Located in a house in the historic Heights district, Cafe Prego is a local favorite. The eclectic feel of the restaurant is fabulous, the food is exceptional, and weather permitting, dinner on the patio is a must. The crème brûlée is the best in town. We offer gluten-free options and have a great wine list. Dinner 5-9:30 p.m. M-Th, 5-10 p.m. F-Sa and 5-9 p.m. Su. Stop in for a quick slice of pizza at lunch or order a whole pizza. Hand-tossed and baked on a brick. Open 11 a.m.-10 p.m. M-Sa. The Pizza Cafe is a fun pizza joint with a great staff and the coldest mug beer in town. 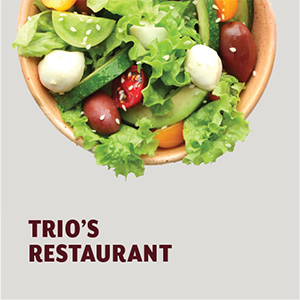 The cafe offers old-school, slow-cooked pizza made with the freshest ingredients, as well as salads and hot sandwiches. All-day happy hour Monday and Tuesday. Patio available. Pizza available by the slice during lunch M-F. Open 11 a.m.-9 p.m. Su-Th and 11 a.m.-10 p.m. F-Sa. Serving Old World-style, wood-fired Neapolitan pizzas. Open 5 p.m.-close daily, and an Italian brunch on Sa and Su 11 a.m.-2 p.m.
Raduno offers guests Neapolitan-style pizzas, salads and sandwiches using only the highest quality of ingredients. Raduno’s full-service bar features over 20 craft beers and wines on tap, making for a complete dining experience. Open 11 a.m.-10 p.m. Tu-Th, 11 a.m.-11 p.m. F-Sa and 10 a.m.-3 p.m. Su. This intimate restaurant in the heart of Argenta boasts an extensive wine list and exquisite Italian cuisine prepared by an Arkansas native trained in Costigliole d’Asti, Italy. 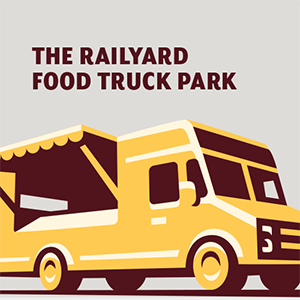 The restaurant is conveniently located at a trolley stop. Open 5-9 p.m. M-Th and 5-10 p.m. F-Sa. U.S. Pizza Company prides itself on offering made-to-order pizzas cooked in old-fashioned stone hearth ovens. Complementing the broad range of specialty pizzas are salads that were voted No. 1 in the state. Guests can also take advantage of sandwiches and carryout service. Beer and wine are available, and there is a full bar at the Hillcrest location. Open 10:30 a.m.-10 p.m. M-Th, 10:30 a.m.-11 p.m. F-Sa and 11 a.m.-10 p.m. Su at all locations. Serving champagne brunch on Sa and Su. For salad and pizza cravings, ZAZA in The Heights is the place to go. From baby greens to spinach, customize your salad to fit your tastes. Or try one of the wood-oven pizzas like the Italian sausage pizza. ZAZA also has homemade gelato and a beer and wine list. Open 11 a.m.-9 p.m. M-Th, Su and 11 a.m.-10 p.m. F-Sa. A casual, modern, California-style twist on Mexican favorites. Open 11 a.m.-9 p.m. M-Th, 11 a.m.-10 p.m. F-Sa. Closed Su. The Fold combines the liveliness of a cantina with the casual cool of an upscale eatery; fully armed with a delightful menu of Mexican cuisine and full-service bar. Roll-up garage doors allow diners to enjoy the breeze when the weather permits, and the heated patio offers a year-round perch upon which patrons can take in the sights and sounds of the hip Riverdale design district. Come for the food, stay for the atmosphere. Open 11 a.m.-10 p.m. Su, Tu-Th and 11 a.m.-11 p.m. F-Sa. Heights Taco & Tamale prepares your favorite Mexican and Tex-Mex inspired dishes with local, seasonal and Arkansas influences. Welcome to Arkansas’ destination for Arkansas-style Mexican food — Ark-Mex. Located in the heart of Little Rock’s Heights neighborhood. Open 11 a.m.-10 p.m. Su-Th and 11 a.m.-11 p.m. F-Sa (bar open later with smaller appetizer-only menu). Serving expertly crafted tacos made with premium ingredients, Arkansas’ best frozen margaritas, cold craft beer, just-made guacamole, six original salsas and delicious artisan cocktails. Open 11 a.m.-11 p.m. M-Th, Su and 11 a.m.-11 p.m. F-Sa. Come experience delicious, chef-inspired tacos in a fresh, unique atmosphere, all for a cause! For every meal you buy, a meal is donated to a child in need. Eat locally, impact globally. Open 11 a.m.-9 p.m. M-Th and 11 a.m.-10 p.m. F-Sa. Casual dining, friendly and calm atmosphere. Open 11 a.m.-8 p.m. W-Sa. Arthur’s Prime Steakhouse features aged prime beef and Kobe steak, as well as seafood, soups, appetizers, salads, sides and desserts. Professional service and an amazing wine cellar make Arthur’s a great place for a wonderful meal. Open 5-9:30 p.m. M-Th, 5-10:30 p.m. F-Sa and 5-9 p.m. Su. Modeled after a no-frills diner deep in the Delta, this steakhouse became a local landmark of national renown after it become a popular hangout among staffers working on President Bill Clinton’s 1992 presidential election campaign. Steaks served family-style headline the menu, complemented by seafood, sandwiches, sides, Doe’s famous tamales and more. Open 11 a.m.-2 p.m. and 5:30-9:30 p.m. M-Th, 11 a.m.-2 p.m. and 5:30-10 p.m. F, and 5:30-10 p.m. Sa. Enjoy bold flavors, juicy steaks and excellent wine while dining at Little Rock Marriott steakhouse, the Heritage Grille Steak and Fin. 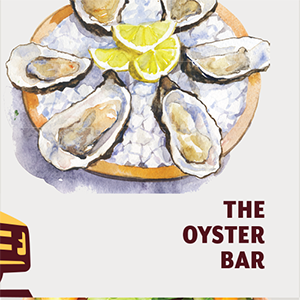 Their specialties include steaks, seafood dishes and an all-day menu filled with only the best bar bites. Hours: Breakfast 6:30 a.m.-11 a.m. (breakfast buffet until 10:30 a.m. M-F and 11:30 a.m. on the weekends); Lunch 11 a.m.-2 p.m. (M-F lunch buffet with different themes); Dinner is off menu 5-10 p.m.; Bar menu 5 p.m.-midnight; Happy hour 4:30-6:30 p.m. Chef Brian Deloney takes Little Rock dining to new levels with fresh adaptations of comfort food with a New Orleans influence, served in a funky, informal, family-friendly environment. Don’t miss the shrimp po’boy! Open 11 a.m.-9 p.m. Tu-Sa. 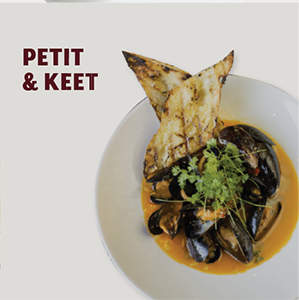 Petit & Keet is a popular new hot spot created by Little Rock’s award-winning restaurateurs, Jim Keet and Louis Petit featuring a wide variety of unique, elevated comfort classics such as Tempura Calamari and Panko Crusted Avocado with Crab Ceviche appetizers. The entrees include Charred Miso Salmon, delicious steaks and a Bison Burger. Innovative twists on classic cocktails, a superb wine list, large bar and the best patio in Arkansas. Rese vations accepted. Open 4-10 p.m. M-Th and 4-11 p.m. F-Sa. Riverfront Steakhouse’s elegant gourmet dining features USDA prime steaks and seafood, including whole lobster tail. 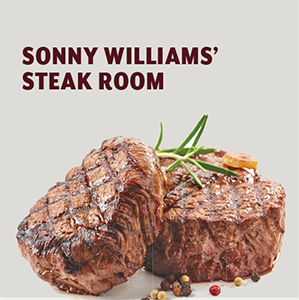 The distinctive seared flavor of their steaks is from the unique infrared broiler system, used by restaurants such as Morton’s of Chicago. Fine wines and full bar available. Open 5-9:30 p.m. M-Th and 5-10 p.m. F-Sa. Nestled in Hillcrest just minutes from downtown, SO Restaurant has been described as “New York bistro meets Southern down-home in a neighborhood eatery.” This upscale restaurant specializes in steaks, fresh seafood, the famous Chocolate Sack and Tres Leches desserts, as well as an extensive wine list. Full bar is available. SO has a beautiful patio that overlooks a nursery. Open 4-10 p.m. M-W, 4-11 p.m. Th-Sa, 10 a.m.-2 p.m. and 4-10 p.m. Su. 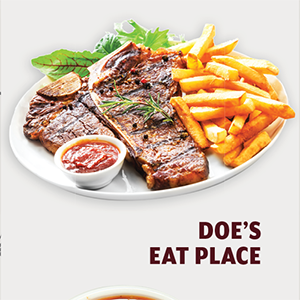 Whether you’re in the mood for a thick, tender, perfectly seasoned aged Angus steak, our world-famous double-bone-in pork chop, or delicately prepared, fresh seafood, our menu will delight you. And we have the perfect wines to pair with each course. Finally, enjoy choosing your favorites from our hand-crafted dessert selections. Come sit at our Baby Grand Steinway Piano and listen to the amazing playing of resident player Jim Dickerson. We guarantee you’ll remember this dining experience for years to come. Open 5-10 p.m. M-Sa. Little Rock’s Ottenheimer Market Hall and its outdoor pavilions anchor the city’s River Market Entertainment District, and are home to a variety of shops, restaurants and the city’s largest farmers market. Eat in or take out as you enjoy its international food court featuring local vendors who specialize in a variety of cuisines, including American, Indian, Italian, Japanese, Mexican, Middle Eastern and Thai, as well as freshly baked breads and desserts. There is also a small grocery in the hall. Open 7 a.m.-6 p.m. M-Sa.